THE QUESTIONS OF DEPTH AND GRADES OF ORE. The prevailing belief of a few years ago that ore bodies always improve with depth has been discredited. Not a single mining geologist will longer maintain such a notion. The evidence of many thousands of mines has refuted this older belief and it has been proven that quite the opposite view is the correct one concerning changes of value with depth. Values, instead of getting better, do actually, in the majority of cases, grow poorer as depth is gained. President C. R. Van Hise, of the University of Wisconsin, was among the early expounders of the newer theories to account for this fact. The writer heard him state, years ago, before a scientific gathering (which, at that time, was not quite ready to agree with him), that if he were given his choice, he would much prefer to own the upper thousand feet of the earth's crust than all the rest of the globe. In this remark, he was referring only to mineral values, of course. This belief that the best values are to be found not far from the surface has since become popular, for it is based upon proven facts. It is not claimed that values are never mined below an elevation that is a thousand feet from the surface. There are many mines, and great ones, too, that are operating at depths greatly exceeding this distance; but in these same mines there will be found valid reasons for not applying the general statement to their particular cases. For instance, the great copper mines of the Keweenaw Peninsula are productive at depths of a mile or more from the surface; but we believe that here the ore must have been originally deposited at, or near, the surface, that it was then overlain with rock strata; and subsequently steeply tilted by earth movements which carried some of the ore bodies down to the depths where they are now found. The "reefs" or bankets of the Rand are so termed because these ore bodies were undoubtedly ancient coast beaches or sea placers. The gravel, sand, and gold particles were cemented together into a conglomerate, then covered with many later sedimentaries, and finally the continent of Africa was so raised or altered in some manner as to bring these gold deposits into their present inland and tilted positions. In veins or lodes, it is not supposed that ore-making minerals could have been precipitated from solutions travelling either upward or downward and obeying chemical laws if the depth were sufficient to furnish great temperature or high rock and hydrostatic pressures. Therefore minerals which were deposited from aqueous solutions rising from depths, for example, must have retained their dissolved condition until they ascended to horizons in which both pressure and temperature were low enough to permit the precipitation and crystallization that create ores. Contrarily, descending solutions must have given off their contents before reaching the deep zones of heat and pressure, or not at all. It is a quite common phenomenon to observe that the richest gold ore in a mine is found close to the surface, if not actually at "grass roots." The explanation is simple. The gold, being the most stable of the aggregate of minerals composing the original ore, has the better resisted the corrosive attacks of atmospheric agencies and has remained nearly intact, while its associated minerals have been dissolved or altered and carried away. The same amount of gold remaining with a diminished quantity of the worthless, non-metallic minerals—the "gangue"—inevitably renders the ore richer per unit of weight (such as a ton), although per unit of volume the value remains constant, or nearly so, so far as the gold is concerned. But with other kinds of ore, as, for example, copper, the best grades are found, not close to the surface but some two hundred or more feet down. The explanation is that the minerals of copper are considerably more soluble than the ordinary gangues and therefore the weathering and oxidation that takes place in the upper horizons of ore bodies will dissolve out the cupriferous compounds and thus deplete the superficial ore. But, by the flowing of the copper solutions to a lower zone, there occur certain reactions that reprecipitate the salts of copper upon compounds of the metal already formed and we have instances of the phenomenon known as "secondary enrichment." It was this very process that effected the changes in the character of the ore in the famous Anaconda Mine, previously mentioned (page 44). The locator's discovery was upon an outcrop rich in silver. Probably the original compounds of the vein were of both silver and copper. The silver was more stable against dissolution than was the copper, with the result that the base metal was removed more rapidly and completely than was the precious metal. The upper portion of the vein was therefore left rich in silver, and low in copper. But, as depth of mining increased, there was found a gradual diminution of the silver content with a simultaneous increase in the copper. The mines of Butte have become known as copper mines, and the wonderful records they have made are ample testimony to the fact that the change in the prevailing metallic values has not wrought serious havoc in the mining industry of the district. Regarding the probability of veins persisting to great depths, there is this thought suggested by J. E. Spurr: "Owing to the pressure exerted by gravity, it is doubtless more difficult for a fissure to stay open in depth than near the surface. The tendency is to press the sides together. At a certain depth, it is probably the case that the pressure and the plasticity resulting from this, together with the increase in heat, makes it impossible for fissures, fractures or any openings to exist." There are still many persons who are reluctant to let go of the cherished notion about the improvement of ores with depth. But there is no economy in deceiving one's self, and the wise thing to do is to accept the truths as they are daily proven. It may be worth while to again refer to the wonderful Camp Bird Mine. This mine was discovered in its true worth years after it had been abandoned by early prospectors because it lacked showy, base-metal minerals. However, since its true merit has been recognized, it has maintained large and remarkably rich annual outputs. As values were beginning to show a material decrease, about five years ago, an experienced mining engineer of recognized standing was engaged to give advice concerning the future exploitation of the property. After exhaustive investigation of the ground, and in the face of adverse opinions, he recommended the discontinuance of further development in depth. At the same time, however, he advised the exploitation of the ground laterally or along the strike of the very persistent vein. His advice was followed and the company's stockholders had reason to be advocates of the new theory; for a very reasonable amount of horizontal development work opened up vast stores of rich gold ore.
And yet, notwithstanding this disquieting feature that seems to apply to mining, there is comfort to be found in the consideration of the exceptional cases. Every man may hope that when he locates a new mine he is taking possession of a property that will have as extensive ore bodies as those that have been proven to exist in the lead-silver mines of Laurium, Greece, the quicksilver mines of Spain, or the copper and tin mines of Cornwall. These mines are in lodes which have persisted and have been mineralized to comparatively great depths, so that their bottoms have not been reached. There is a modern idea that has taken root in the minds of mining men of the last generation to the effect that the mines with rich ore are not necessarily the ones with big profits. There are many men looking for investments in mines whose contents are of low grade but in large bodies readily worked. If a mine with rich ore can be found and the ore abounds in such liberal amounts as to warrant the inauguration of a company with the essential working equipment, such a proposition will naturally not be turned down. However, the faith of some men is placed in those mines that may be operated upon very large scales for long periods even if the profit per ton be very small. With a large plant, the unit of expense, i.e., the cost of mining per ton, is less than with a small mine. With the assurance of regular outputs of ore of a reasonably uniform grade, the milling equipment can be planned to handle a mine's product to the greatest advantage. The Alaska-Treadwell Mine, on Douglas Island, is an instance of a splendid property that has been continuously operated for about a third of a century. The ore is low grade in gold but immense dividends have been declared because the ore body, a tremendous mass of eruptive rock, has lain in such a position that the owners found it possible to excavate the stuff, to a great extent, by open-pit methods, although not by using steam shovels. The ore is treated in a vast mill contiguous to the mine. The Homestake, another gold mine, has an ore body quite dissimilar geologically from, but of dimensions approximating those of, the Treadwell. It is a great body of mineralized, crushed shales, standing steeply in the shape of a lode and carrying about $3.75 per ton. It has been followed down considerably over one thousand feet and although the grade has dropped somewhat with depth, there are known to still be millions of tons in reserve. According to estimates, the mine has enough positive ore in reserve to keep the mill running at the rate of 4,000 tons per day for several years even if no more ore were to be opened up. This ore nets but 53 cents per ton above all mining and milling expenses; but a little arithmetic will show that this mine is worth twice as much as the mine that is producing, with more or less regularity, an average daily output of, say, forty tons of high grade ore upon which there is a net gain of $25 per ton, a figure that is rather high for the average of so-called "high grade" mines. We must, therefore, decide that it is always wise to think twice before condemning a mine because its grade of product is low. It is only recently and by virtue of marked improvements in metallurgical processes that many bodies of mineral have become "ore." Hence it is but natural that many of the older miners fail to grasp the possibilities that lie in such deposits. What is the line of value separating a low grade from a high grade of precious metal ore? There is no uniform practice along this line. One will notice that ores are nowadays spoken of as high grade that, before the practice of mining these described meagre deposits, were reckoned as low grade. This fact is due to two reasons, viz., the cheapening of metallurgical operations, and the greater respect that is entertained for ores of low metallic content. 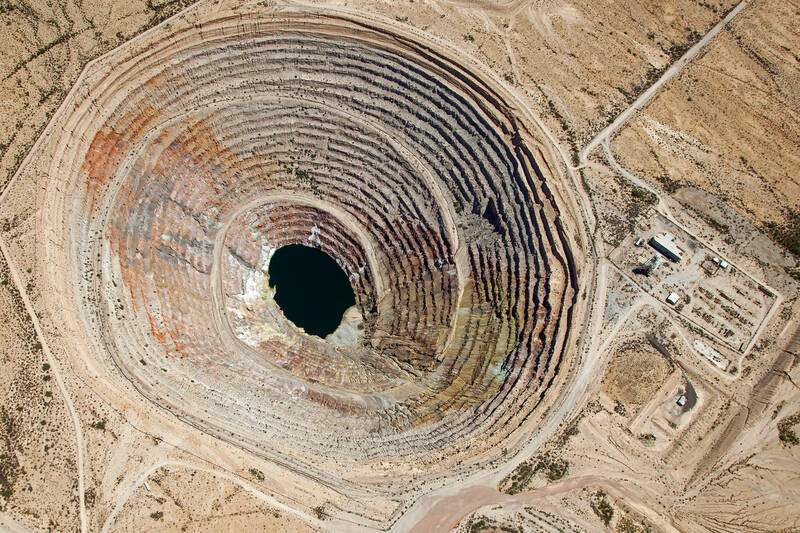 The Esperanza Mine, in Mexico, is called a high-grade gold mine. Its ore has averaged about $33 per ton and the profit therefrom about $19. The Oroya-Brownhill Mine, in western Australia, has had ore that carried a value of about $22 per ton and from it a profit of about $15 per ton was made. In the Cripple Creek District, ores that run above $30 per ton are considered high grade. This means that the average rich ore shipments of the district have a gold content of about 1-1/2 ounces per ton. The expenses of mining, freight, and treatment will probably total close to one-half the gross value, or about $15 per ton. When one speaks of $30 or $40 ore as rich or high grade, it is not to be inferred that there is no ore in the shipments which is not worth a great deal more than this amount per ton. Such lots of ore will, no doubt, contain a great many chunks that would assay many times the average value. Such selected materials would not, however, be samples; they would be what are called "specimens." The specimen has its place in mine economic discussions because it furnishes the basis of operations for the ubiquitous "high grader" with which nearly every new and rich mining camp must contend. Some writers claim that the high grader is a product of modern conditions; but we find that he has existed for such a long time that he was given mention by the Scotch historian and scientist Andrew Ure, who wrote of the precautions that were exercised in working the graphite mines of England, a century ago, to prevent the pilfering of even this comparatively low-grade material. Even the ignorant African natives of today cannot be trusted to wear clothing while working in the diamond mines. No, the cause of high grading is the innate greed of human beings and it has existed from prehistoric time and among all peoples. In this discussion as to grades of ore, the question may arise as to what might be reasonably considered the most attractive kind of a mining proposition. This is too knotty a query to be answered in a few words. There are so many different phases that must be given due weight. Every mine is a problem in itself. The Minnesota mines afford the best examples of profitable iron mining. Under the classification of underground, tabular deposits such as veins or lodes, no matter in what metals their values are found, Mr. T. A. Rickard believes that the ideal mine would be one carrying ore worth $10 per ton, in a body five feet thick, with costs not exceeding $5 per ton, and so mined as to keep one million tons continually in reserve. According to these restrictions, he thinks the Robinson Mine, of Johannesburg, will about fill the bill as an ideal gold mine. It has a deposit of about the right thickness to avoid excessive timbering expense and this ore body is in such a vast, continuous sheet that its superintendent can depend upon maintaining a systematic development that will assure a constant supply of ore to the immense mill for ten or twelve years in advance. This same ore averages about fourteen pennyweights (approximately $14) per ton and upon this there is assured a profit of over five dollars per ton.